Settlement Agreements are the legal tool at your disposal for parting company with an employee in such a way that leaves the organisation protected from tribunal claims. The law on these agreements has recently been introduced. This HR Blast should bring you up to speed with the essentials of what you need to know. For years, employers have been able to ‘compromise’ staff out of a business. This means that where there has been an element of conflict or the threat of a possible tribunal claim, in exchange for an agreed payment, the employee has effectively signed away their right to go to a tribunal. The document signed was called a Compromise Agreement. However, as of 29th July 2013, Compromise Agreements disappeared and were replaced with Settlement Agreements. In a nutshell, Settlement Agreements set out the agreement between employer and employee on termination of employment. Agreements are often signed after a period of discussion and negotiation. These discussions and negotiations can take place over just a few days or perhaps even months. 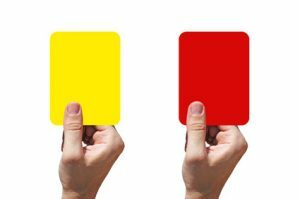 It is not necessary to have instigated a disciplinary process before suggesting that discussions take place with a view to having a Settlement Agreement. The suggestion of a Settlement Agreement should not come out of the blue and it is best if employers can identify why they have taken this route e.g. seek to resolve a personality conflict, support an employee leaving who has said that they wish to leave the organisation etc. Agreements cannot be signed until the employee has been properly advised by an independent legal adviser, such as a solicitor. The employer usually should expect to make a contribution to the cost of legal advice, typically paying between £250 and £500. You no longer have to feel cloak and dagger about having difficult discussions with employees – it is actually ok to have these conversations! (Relatively) conflict free termination of employment in what could be difficult circumstances. Reduces the time and stress of managing difficult situations through a grievance or disciplinary process. Minimises the impact on a team where managing one person over a long period of time could reduce team productivity or affect employee morale. Can make it too easy for managers to terminate employment without ever trying to professionally manage the situation that has arisen – a charter for lazy managers in some organisations. This could, long term, undermine the company’s disciplinary and performance management process. Can create an expectation amongst employees that they will always be paid off if there is a dispute. As a result employees will not seek to resign their positions if they are unhappy or will react very strongly if you seek to dismiss without suggesting a Settlement Agreement route. Expectations of the amount they will be paid might also be too high if staff are paid off regularly. Not great for the HR Budget. Effectively you are paying staff off in lieu of dismissing them at no cost other than management time and perhaps also notice pay. One payment might not seem too much but if you add up all the payments across the whole business across the whole year it can be an enormous addition to the salary and staff costs bill. How on earth will you get your relationship back on track if Settlement Agreement negotiations break down? Using Settlement Agreements – seven top tips! Offer the employee the option of being accompanied at meetings. Give them the time to think things through – ACAS advise that employers give at least 10 days however through discussions with the employee, you can agree alternative timescales. During your discussions, don’t be too pushy or offer an ultimatum. This is a sure-fire way to jeopardise your ability to keep the conversations you are having with your employee out of the Tribunal! When drafting the Agreement, don’t be tempted to set out all possible claims – be specific about what you want to protect yourself from. This will give your Agreement the best possible chance of being legally enforceable. Don’t forget that the success of the conversations you have as part of a Settlement Agreement is dependant on reaching agreement with your employee. So plan your conversations carefully and don’t go overboard with the legal jargon and formality! Whilst every fibre of your being tells you to keep these conversations off record – actually putting them in writing can help clarify matters and help assert your position clearly. Be clear on how you propose to manage the discussions and the timeline of the process so that expectations are set all round. Jaluch supports organisations with the whole range of performance, disciplinary and dismissal issues. Pragmatic advice, plain speaking and no scare tactics. Call us on 01425 479888 to find out about our competitive rates and support on a contract free basis! You do not need to be tied into lengthy retainers and contracts to get good advice on employment matters.